Expanding floss was created to solve this particular problem. Since this floss starts off thin, you can easily insert it between your teeth. Wait for a few seconds to allow for its expansion and continue flossing like normal. The expanding floss grows thicker as it comes into contact with saliva. Furthermore, expansion can be caused by friction when sliding the floss against your teeth and gums. That results in an increased surface area. In turn, that allows the floss to clean in between the teeth much more thoroughly and efficiently than other kinds of floss. Basically, the floss starts thin in order to get in between your teeth and then turns into a thicker floss with all the benefits that brings. All dentists recommend that you incorporate flossing into your regular oral hygiene regimen. If your teeth are crowded too close together, you can still take advantage of expanding floss. Expanding Floss can expand enough such that, once it’s inserted in a hard-to-reach part, it’ll clean more efficiently than a toothbrush would. That will contribute significantly towards reducing the risk of cavities and other diseases like gingivitis (often caused by plague or food stuck between teeth or along the gums). An increasingly growing number of individuals report that expanding floss has helped solve many problems they had with regular floss. 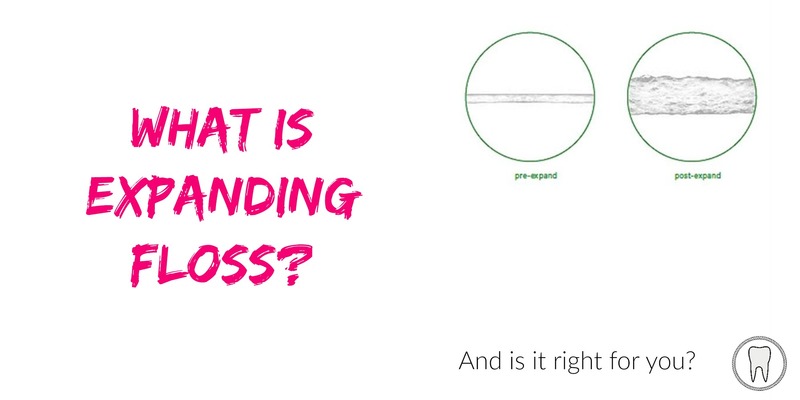 Case in point, many people have praised the strong fibers of expanding floss which enhances its durability, while allowing for expansion and making it less likely to shred. 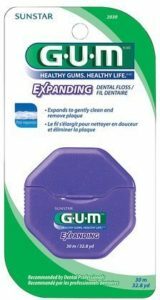 Some users, however, have difficulty noticing or feeling the floss’ expansion, which makes them uncertain if the floss is better than regular floss. You shouldn’t ‘snap’ the floss forcefully between your teeth as doing so will risk cutting into the gums and exposing the tissue to bacteria. As with any other floss, you should pull expanding floss down carefully and gently until you feel some slight resistance. Improper cleaning of your teeth and gums might not give you satisfying results. To achieve the best results when using expanding floss, you ought to know about proper flossing techniques. A perfect place, to begin with, would be asking your dentist directly or watching a video tutorial on how to floss. If you don’t floss correctly using regular floss, switching to expanding floss won’t fix the issue automatically. Bear in mind that the best floss for YOU is the one that proves to work in YOUR hands. Ideally, you should get several different kinds of floss and try them out by yourself. Don’t just take other people’s word. Educating yourself on proper flossing techniques and appropriately following them will guarantee you positive, amazing results with your mouth’s health.